As its name implies, a work attendance register is a document that records the presence, absence, holidays, late arrivals, and paid leaves of employees. These information are all relevant to help the employer calculate the salary of his workmen. 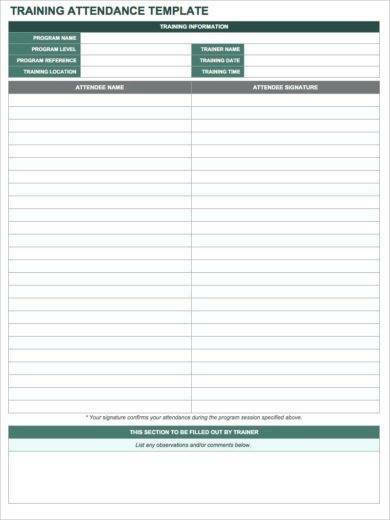 You may also see printable attendance sheet examples. Before the time of major technological advancement, people rely on thick record books for documenting the attendance-related performance of their employees. However, in our wonderfully modernized technological world, we now have computers to do all the tedious tasks for us including, but not limited to, work attendance record keeping. You may also like attendance policy examples. 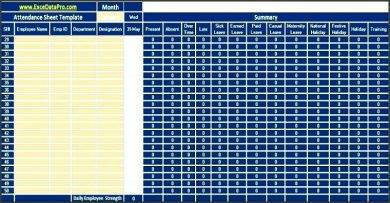 A work attendance register can help an employer monitor the number of absences in a worker’s monthly or weekly record. Through it, he can track those who are guilty of absenteeism and reprimand them if necessary. By seeing a detailed description of the way employees perform, a manager can choose to design a strategy for creating or improving the company’s policy for employee attendance, which is important because absences greatly affect the performance of the company as a whole. Punctuality helps maintain efficiency in the working environment. It also plays a massive role in encouraging employees to do their best in all their responsibilities. However, keeping a watchful eye on every staff member can be a difficult task especially for big companies with many employees. 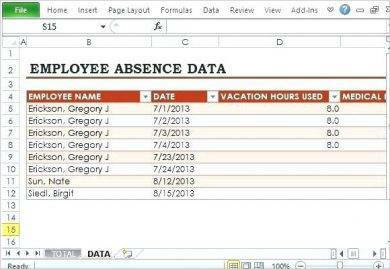 A work attendance register can make this easier since every name will be recorded and organized in one place. All that will be left to do is to update it regularly. 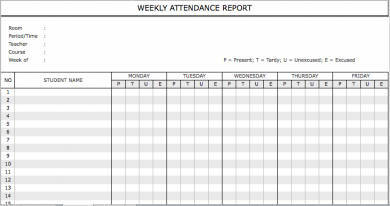 You may also see attendance sheet examples. A work attendance register covers every employee irregardless of position. This is because even managers, or other higher positions, need to surrender to company policies especially regarding work attendance because this will be the basis of the company’s financial department regarding the amount the employee will receive for the month’s paycheck. You may also like HR memo examples. In the corporate setting, people don’t work individually nor do they compete on who’s better than the other. Although there is, and always will be, competition, for most of the time, the employees will have to work with one another to be able to accomplish the duties their team has been assigned to handle. (This usually involves quotas and producing quality outputs or products.) You may also like creative ways to structure your HR department. If one or two of the members of a team are often absent or always late, the consequences will not only be apparent in the performance of those individuals. Instead, it will be evident in the overall operation of the entire team. Also, the work that the absentees are supposed to perform will be shouldered by other members to compensate for the lack of manpower. This will add extra burden to the already heavy load that the workmates of the absentees will have to carry. You may also check out sample HR templates and examples. By tracking the attendance of every individual under one’s supervision, the manager can choose to set a limit on an employee’s monthly absences if they are showing signs of abusing it. If they exceed the assigned number, they will have to face disciplinary action or will be asked to fill in an incident report to explain their behavior. 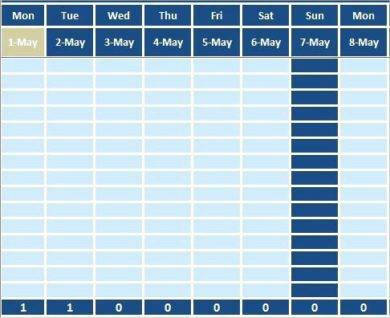 Since absences now have consequences, employees will have to observe the set limit of absences. This small yet significant change can already do so much to boost an entire team, hence, an entire company’s, work performance. Irregardless of the reason behind an employee’s absence, the company’s work attendance register will recognize it as it is: an unpaid day off from work. Employees, as much as possible, need to notify their managers or the Human Resources staff in their company if they will be gone for the day. You may also see best human resource policies and practices. However, should an unexpected circumstance arise and they find themselves unable to go to work, they should still contact their office to tell them about it because a maximum of three days of uninformed absence will already be considered job abandonment. You may also like HR checklist examples & samples. holidays and leaves that have not been approved. 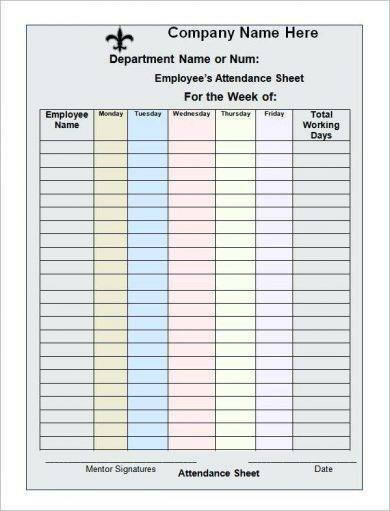 Not only does a work attendance register keep track of employees’ absences, it also oversees their attendance. Employees with impressive work attendance are often rewarded with incentives or and additional day of paid leave. Good attendance record means. You may also see HR questionnaire examples. being absent or being late only for good and valid reasons. Maintaining a record of employees’ attendance is a job given to managers. It is their duty to monitor the performance of the members of their team. If any of their employees are regularly absent or late, it is also their job to arrange a personal meeting with them to discuss the behavior. You may also like human resource budget examples. However, if the team member’s absenteeism is already a consciously recurring activity, the manager should then pass the issue to the Human Resources department for disciplinary action. 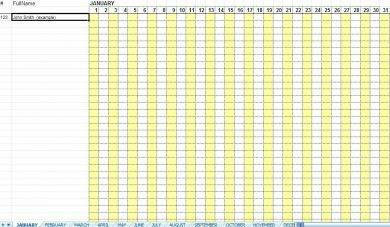 For this task, work attendance registers are the manager’s strongest tool.